Broadhaven Irish Tours; a combination of local knowledge, exclusive Irish tour guiding, a pub with the finest Guinness in Ireland and breathtaking scenery. This is what makes up the Broadhaven Irish Tours experience; unique and welcoming. 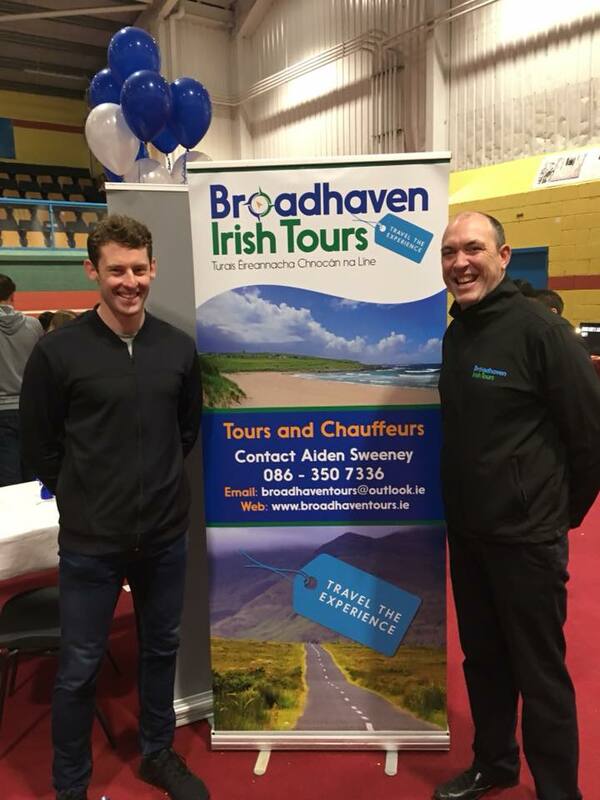 ‘All we need now is the weather,’ states owner, tour guide, publican and Director of Broadhaven Irish Tours Aiden Sweeney. ‘Even the rain can do no wrong as it only highlights the North Mayo experience; mystical and beautiful, a real piece of Ireland along the Wild Atlantic Way’. 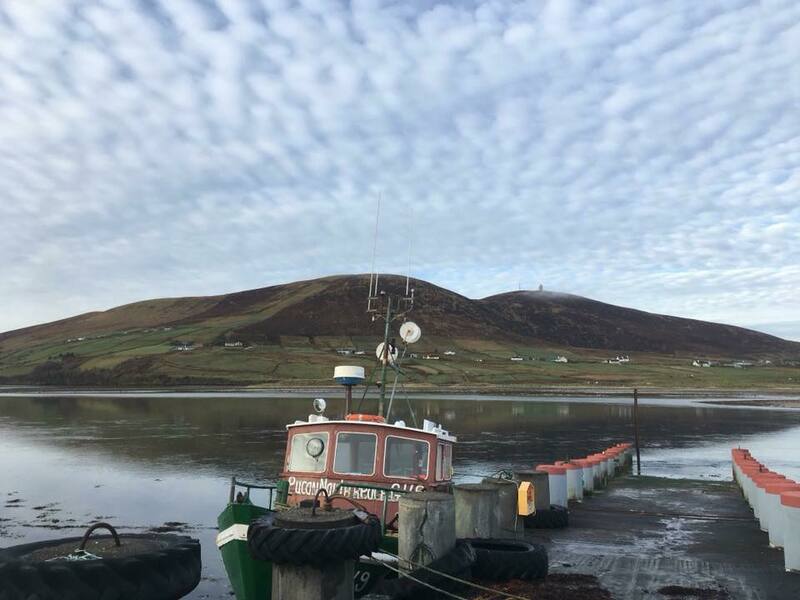 Aiden has taken the leap of faith and opened a chauffeur service with bespoke tours, a traditional Irish bar and convenience store in the heart of County Mayo at Rossport; a beautiful fishing village, where the Irish language is still spoken and the air is fresh! Specialising in bespoke tours throughout the West of Ireland and beyond, Aiden’s vision is to guarantee his clients an enjoyable ‘off the beaten track’ tour with a chauffeur service, a once-in-a-lifetime behind the scenes journey along the Wild Atlantic Way. Aiden wants his clients to meet the people and enjoy the places that make this part of the world, the West of Ireland, such a special place. Picture taken by Michael Cosgrove, The Ferry at Rossport. Having worked and lived in Chicago for many years, the call of Ireland lured Aiden and his family home to County Mayo, subsequently running Ballina’s well known bar An Sean Shebeen in Abbey St, a favourite bar with locals, and visitors to the Salmon Capital of Ireland. 20 years later An Sean Shebeen in Ballina is going from strength and strength, continuing to offer its patrons a very warm Irish welcome and Aiden has brought that same unique Irish family welcome out to Denny’s Bar in Rossport, where you can purchase a pint of Guinness and a pint of milk at the same time (in Denny’s convenience stores). Using Denny’s Bar as the focal point of the Tour business, and ensuing everybody receives a traditional Irish welcome, Aiden also offers transfer services to and from major airports in the country. 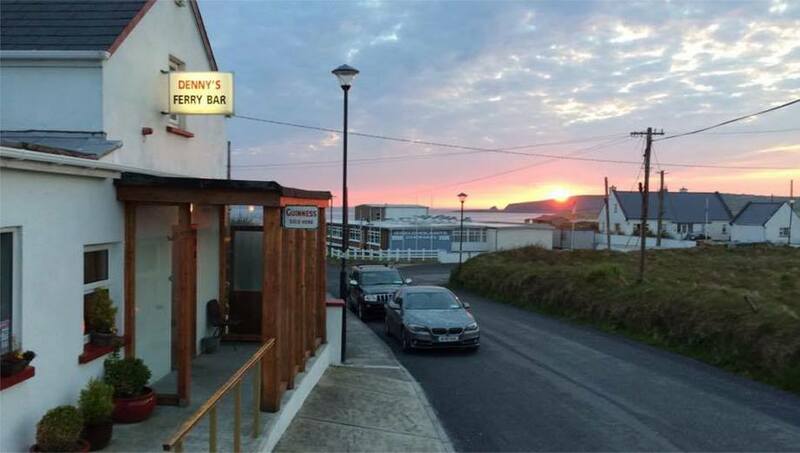 While Denny’s Bar and convenience store has always been a part of the landscape of Rossport, the Sweeney family have re energised the community pub bringing the people of the village together again. Denny’s Bar at Rossport, Co Mayo, part of the Broadhaven Irish Tours experience. David Clarke, Mayo GAA Number 1 Goalkeeper and two time All Star winning recipient. Aiden is a proud Mayo GAA supporter.